The company has already created a prototype in partnership with university students in Singapore. 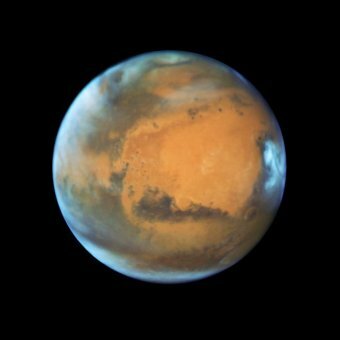 A Gold Coast-based company may help NASA extract water on Mars, after striking an agreement with the space agency that is believed to be an Australian first. Could this be the start of a new industry? NASA will assist Gilmour Space Technologies to develop and build a Mars rover designed to extract water from the red planet. As part of the agreement, they will test the rover on a mock Mars environment, built at the NASA’s Kennedy Space Centre in Florida. The Pimpama-based company said it was the first private enterprise in Australia to sign a Space Act Agreement with NASA. A spokeswoman from NASA said the lessons Gilmour learnt by testing at the Kennedy Space Centre might help them refine their design, but the space agency was not part of the project. Gilmour Space Technologies has already created a prototype rover in partnership with university students in Singapore, where the company also has a base. It uses microwave technology to melt ice that is mixed with Martian soil where the rover then collects the steam and condenses it into water. The blueprints for this robot attracted the attention of the American space agency after it won the grand prize at a Designing for the Future competition in the US. Now, Gilmour Space Technologies is looking to engage Australian university students for the real rover. “We’ve done an initial prototype, but we’re not experts,” he said.